The Bush administration cannot use new anti-terrorism laws to keep U.S. residents locked up indefinitely without charging them, a divided federal appeals court said Monday. The ruling bluntly tells President Bush he has gone too far arresting civilians as enemy combatants, reports CBS News correspondent Wyatt Andrews. "To sanction such presidential authority to order the military to seize and indefinitely detain civilians, even if the President calls them 'enemy combatants,' would have disastrous consequences for the constitution — and the country," the court panel said. The decision has no legal bearing on detainees at Guantanamo, adds Andrews, but it is another hurdle for an adminstration that has yet to try a single enemy combatant. And it will add to demands in Congress to grant Guantanamo prisoners access to U.S. courts. In the 2-1 decision, the 4th U.S. 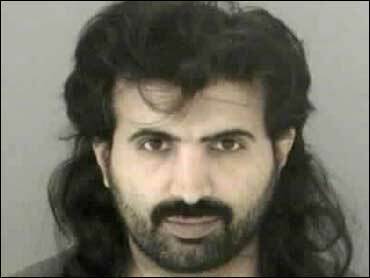 Circuit Court of Appeals panel found that the federal Military Commissions Act doesn't strip Ali al-Marri, a legal U.S. resident, of his constitutional rights to challenge his accusers in court. It ruled the government must release al-Marri from military detention. "This ruling actually could – emphasis on could – do to the new Military Commissions Act what the Democratically controlled Congress has been thinking about doing for a few months now," says CBS News legal analyst Andrew Cohen, "which is to change the impact of the law to preclude it from taking away from resident aliens here in this country the right to challenge their detention or confinement in court." Cohen added that the ruling doesn't mean the suspect will be freed. "Like former enemy combatant Jose Padilla, al-Marri now likely is to be charged in federal court with various terror related charges and then we'll likely see a replay of the sorts of issues that only now are coming to light at Padilla's trial in Miami, mainly the difficultly in transferring a military case into a civilian one," said Cohen. The government intends to ask the full 4th Circuit to hear the case, Justice Department spokesman Dean Boyd said. "The President has made clear that he intends to use all available tools at his disposal to protect Americans from further al Qaeda attack, including the capture and detention of al Qaeda agents who enter our borders," Boyd said in a statement. Al-Marri has been held in solitary confinement in the Navy brig in Charleston, S.C., since June 2003. The Qatar native has been detained since his December 2001 arrest at his home in Peoria, Ill., where he moved with his wife and five children a day before the Sept. 11, 2001, terrorist attacks to study for a master's degree at Bradley University. "This is a landmark victory for the rule of law and a defeat for unchecked executive power," al-Marri's lawyer, Jonathan Hafetz, said in a statement. "It affirms the basic constitutional rights of all individuals — citizens and immigrants — in the United States." The court said its ruling doesn't mean al-Marri should be set free. Instead, he can be returned to the civilian court system and tried on criminal charges. "But the government cannot subject al-Marri to indefinite military detention," the opinion said. "For in the United States, the military cannot seize and imprison civilians — let alone imprison them indefinitely." Al-Marri is currently the only U.S. resident held as an enemy combatant within the U.S.
Jose Padilla, who is a U.S. citizen, had been held as an enemy combatant in a Navy brig for 3 1/2 years before he was hastily added to an existing case in Miami in November 2005, a few days before a U.S. Supreme Court deadline for Bush administration briefs on the question of the president's powers to continue holding him in military prison without charge. Federal investigators found credit card numbers on Al-Marri's laptop computer and charged him with credit card fraud. Upon further investigation, the government said, agents found evidence that al-Marri had links to al Qaeda terrorists and was a national security threat. Authorities shifted al-Marri's case from the criminal system and moved him to indefinite military detention. Al-Marri has denied the government's allegations and is seeking to challenge the government's evidence and cross-examine its witnesses in court. Lawyers for al-Marri argued that the Military Commissions Act, passed last fall to establish military trials, doesn't repeal the writ of habeas corpus — defendants' traditional right to challenge their detention. If the government's stance was upheld, civil liberties groups said, the Justice Department could use terrorism law to hold any immigrants indefinitely and strip them of the right to use civilian courts to challenge their detention. The Bush administration's attorneys had urged the federal appeals panel to dismiss al-Marri's case, arguing that the act stripped the courts of jurisdiction to hear cases of detainees who are declared enemy combatants. They contended that Congress and the Supreme Court have given the president the authority to fight terrorism and prevent additional attacks on the nation. The court, however, said in Monday's opinion that the MCA doesn't apply to al-Marri, a legal U.S. resident who wasn't captured outside U.S. soil, detained at Guantanamo Bay or on other foreign soil, who has not received a combatant status review tribunal. "The MCA was not intended to, and does not apply to aliens like al-Marri, who have legally entered, and are seized while legally residing in, the United States," according to the court's majority opinion, written by Judge Diana G. Motz. The court also said that the government failed to back up its argument that the Authorization for Use of Military Force, enacted by Congress immediately after the Sept. 11 attacks, gives the president broad powers to detain al-Marri as an enemy combatant. The act neither classifies certain civilians as enemy combatants, nor otherwise authorizes the government to detain people indefinitely, the court ruled. The case, which is expected to reach the Supreme Court, could help define how much authority the government has to indefinitely detain those accused of terrorism and to strip detainees of their rights to challenge the lawfulness or conditions of their detention.